Are you ready for another amazing card kit? This month's kit is all about balloons, birthday, and glitter! The new Bundle of Balloons card kit will be available Tuesday, July 24 at 9pm EST. Check out these gorgeous glitter balloons. 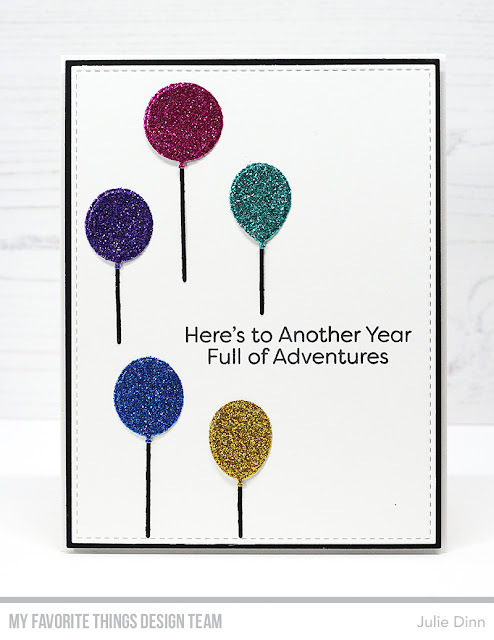 The new Bundle of Balloons card kit includes eight gorgeous colors of glitter card stock, and I used all eight on this card. I added a touch of white to each balloon to show where the light hits it. This helps to give the balloons a little extra shape. 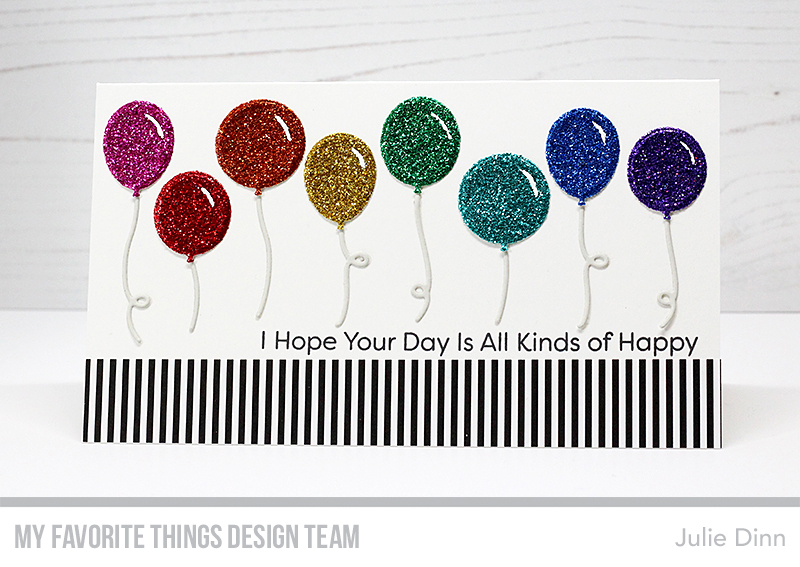 The sentiment is from the new Bundle of Balloons stamp set is full of fabulous birthday sentiments. My second card is a simple one. I die-cut the balloons in the gorgeous glitter card stock that comes in the kit. The balloon strings were die-cut in Black Licorice card stock. I didn't add the white light to these balloons and you can see how much of a difference adding that little bit of white makes. 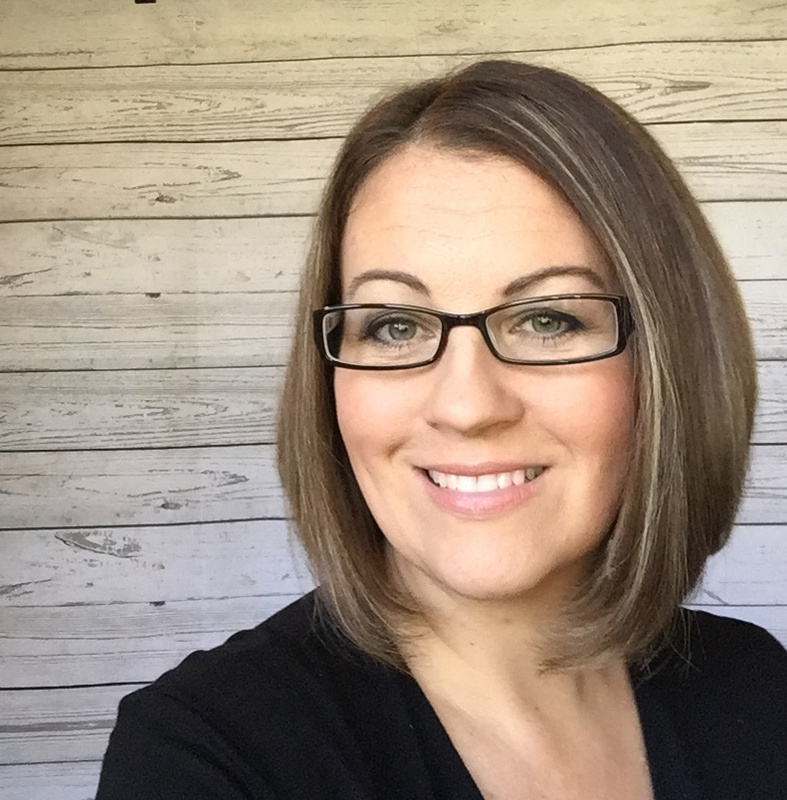 Your first card is so fun and vestive! 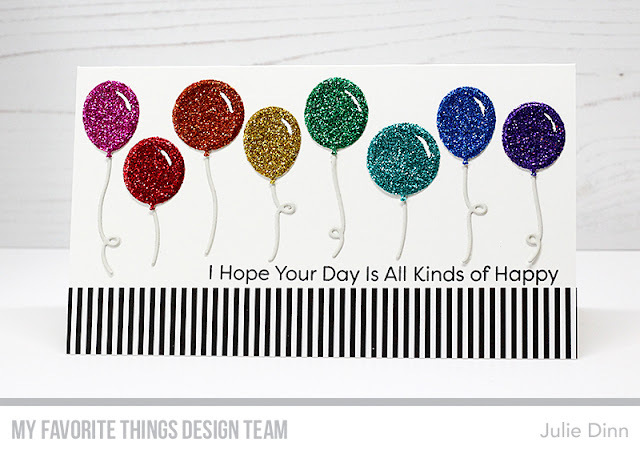 Plus I love the longer card length with the black and white stripes accepting the shiny balloons! So fun and clean. An eye grabber! Very pretty cards. Love the glitter papers in this kit. I’m really liking the colorful cards, and balloons are great for all occasions. Wow, it is amazing how much the white hi-light adds to the look of the balloons, I love it! 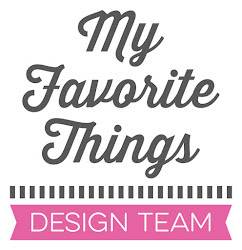 I'm totally blown away by the beauty of your cards and especially that first card--WOW! The one thing I noticed was the absence of the light highlight on the balloons when I first saw the kit, but with the addition of your curved white line on each balloon, problem solved! 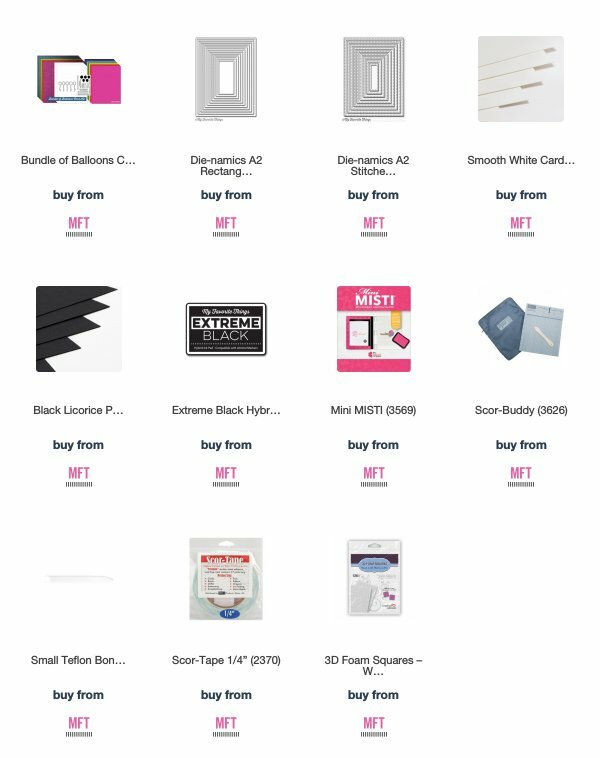 LOVE the vibrant, glittery balloons in contrast to the stark white paper plus the black and white stripes. Wonderful card!!! WONDERFUL!!! Until I read your description for the first card, I thought you covered the balloons with gloss! Super pretty cards. 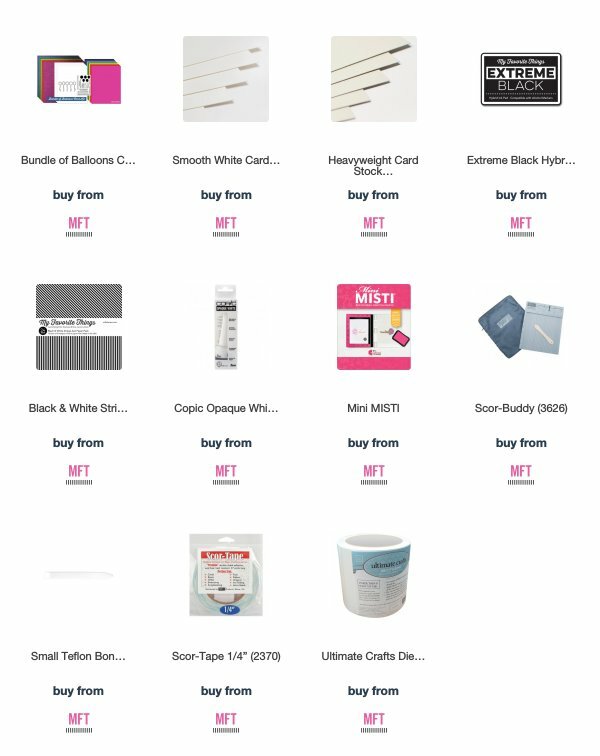 The black and white striped paper is a great added touch to your card! Both cards are cool. Thank you. Love the sentiments in this set. 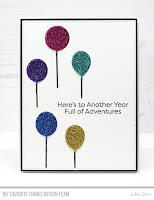 Those glittery balloons are a great celebration for a birthday card. Nicely done. Gorgeous cards! I love all the sparkle! !